The fourth Andrew Barnett & Trevor Genge Memorial Lecture takes place on Thursday 11th October at 7:30 pm in St. Andrew’s Church, Bilston Street, Sedgley. The speaker is Samantha Badger a local history enthusiast and keen researcher. Sam’s presentation will focus on the Turnpike Trusts from their start in 1706 through to closure in the 1890s. The Black Country was criss-crossed with roads charging people to use them for animal movements and horse drawn transport. Although tolling was a lucrative boom business it eventually became debt ridden and succumbed to the railways. This is a fascinating story full of local colour and interest. The 56th Teaser was a building looking the worse for wear in 2000. Today it is in tiptop condition. It was a photo of Sandyfields Farmhouse which lies partially hidden on an old section of Sandyfields Road in Cotwall End, Sedgley. The oldest parts of the early C19th house are built in red sandstone from an adjacent quarry. 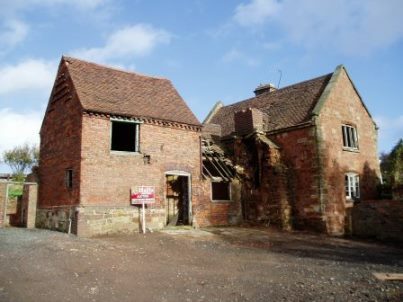 The property is locally listed by Dudley MBC giving it some degree of protection.